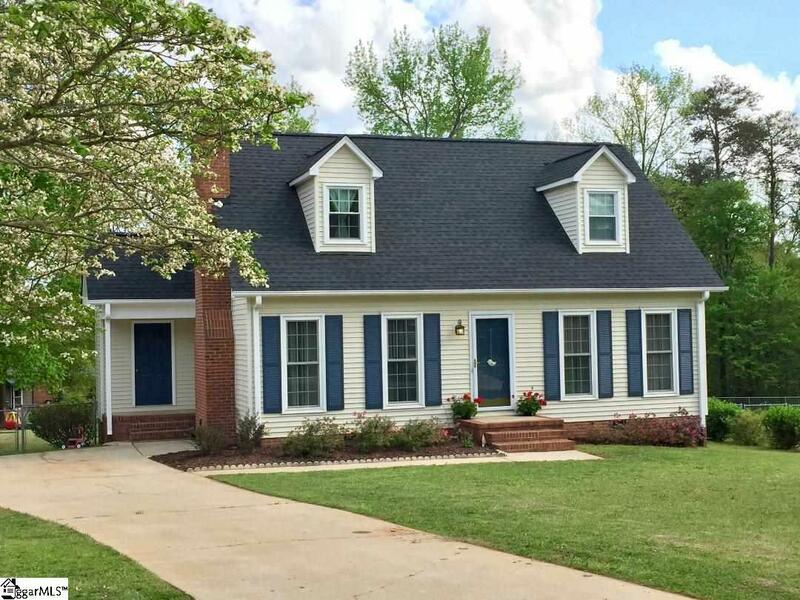 Charm, Character & Convenience on Greenvilles beautiful north side of town! 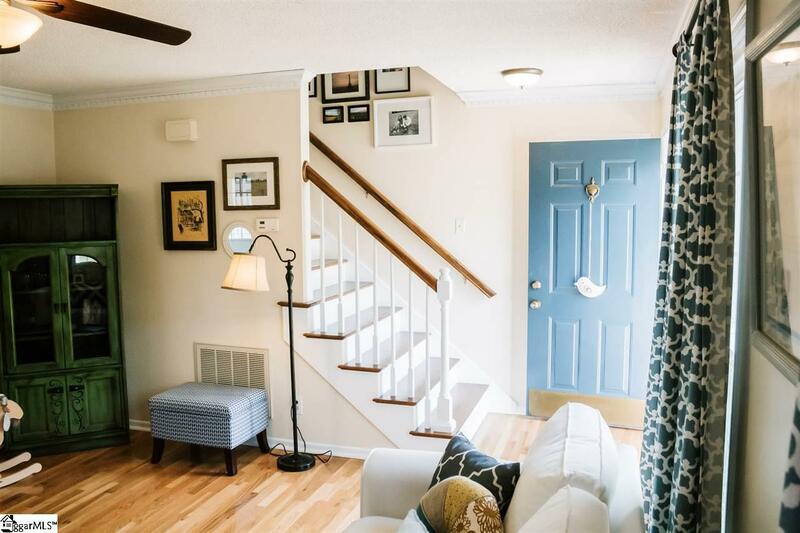 This Cape Cod Style Floorplan with MASTER ON MAIN plus two bedrooms on upper level with bath has been meticulously maintained. So many updates and upgrades! Youll find: NEW ROOF (2019), NEW DECK (2018), NEW INTERIOR AND EXTERIOR PAINT (2016), NEW REPLACEMENT WINDOWS, NEW HARDWOOD STAIR TREADS, CARPET, 12X24 VINYL TILE IN KITCHEN, LAUNDRY AND BATHS, STAINLESS APPLIANCES, KITCHEN COUNTERTOPS, BACKSPLASH, GRANITE COMPOSITE SINK, FAUCETS, INTERIOR HARDWARE, CEILING FANS, LIGHTS, CUSTOM MADE COPPER LIGHT FIXTURE AND CUSTOM BUILT-IN CORNER CABINET. 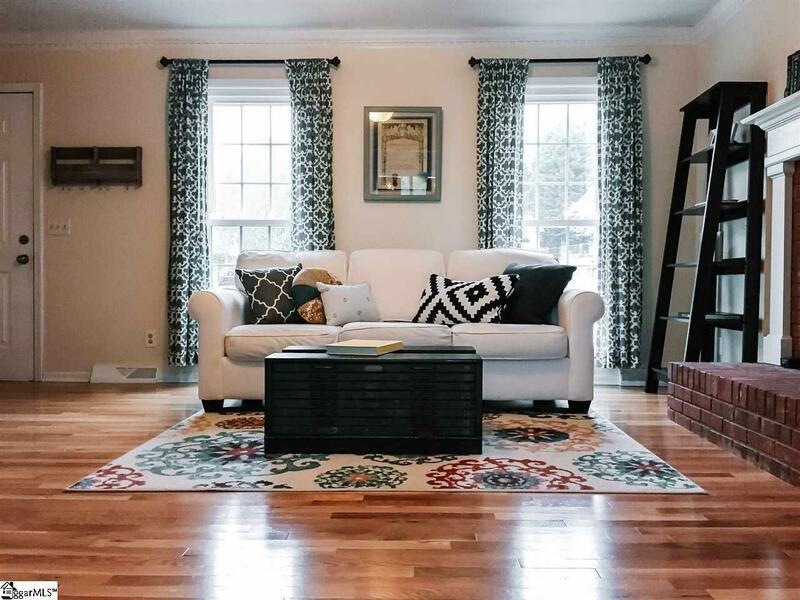 This lovely MOVE-IN ready home is located on a quiet CUL-DE-SAC on a nearly HALF ACRE lotand only 15 minutes to downtown Greenville. It features 3 bedrooms, 2 baths, attached storage room, updated kitchen with dining area plus walk-in pantry and laundry. 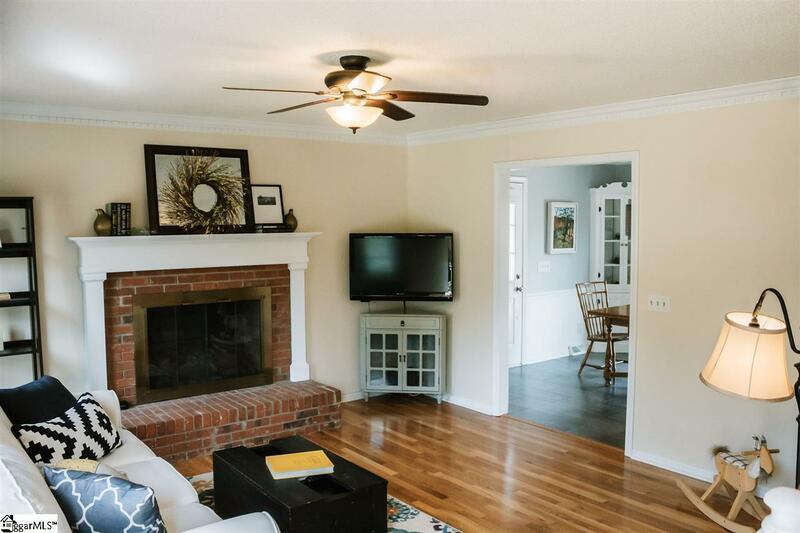 Gather the family together in the beautiful living area with HARDWOOD FLOORS and brick fireplace with gas logs. The quaint dining area opens onto a large 12 x 18 deck overlooking a large fenced backyarda wonderful place to relax and watch the kids and pets play! Listing provided courtesy of Nancy Mccrory of Marchant Company, The.